Hair oil! The most wanted product for my hair if you ask me. So I am always in for a new experiment. The glass bottle looks gorgeous and luxurious and comes in 50ml. I am very enthusiastic! It smells a bit like roses, very lovely! And my always dry hair gets very comfortable. Medavita Huile d'Etoile Olio Aureo is a hair oil that will add a beautiful shine to the hair do. This includes oil Sacha inchi, Moringa, Cyperus and linseed oils. These oils provide the perfect finish of the hair. 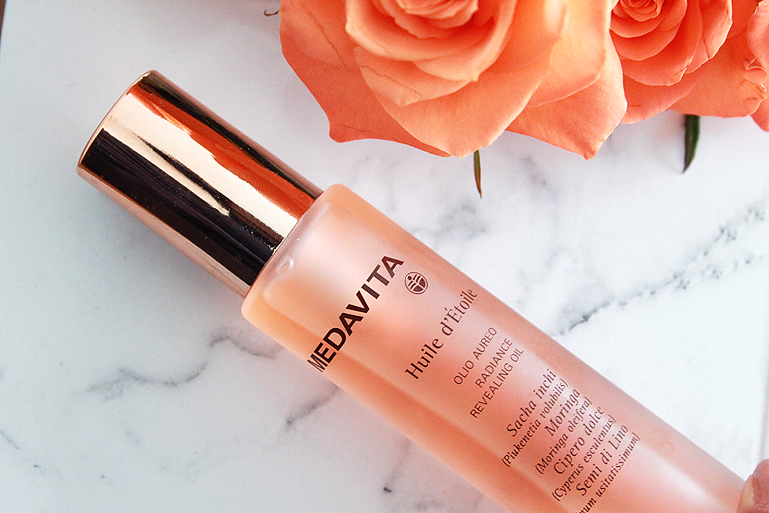 Medavita Huile d'Etoile Olio Aureo makes her hair soft and gives extra shine at any time. This oil is suitable for all hair types and is very economical to use, because there are only a few drops are necessary. 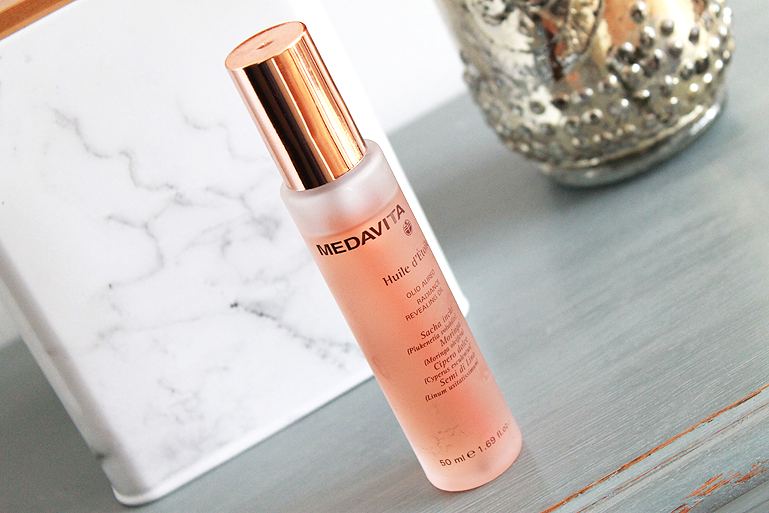 Apply a few drops Medavita Huile d'Etoile Olio Aureo on dry or damp hair.